In fact, studies suggest that people prefer video content to written content, and are more likely to learn from it. For entrepreneurs, this is important because they are constantly working on personal growth. All great entrepreneurs love learning, and video content on YouTube channels is another way that entrepreneurs can learn from other business leaders. YouTube is a great resource with lots of information that can help entrepreneurs. But with so many channels to choose from, it’s easy to get lost in the world of YouTube. We can probably all relate to finding ourselves on the “weird” side of YouTube watching obscure cat videos. We’ve pulled together some of our favorite channels for entrepreneurs and small business owners. We’re starting out our list with one of the most popular YouTube channels for entrepreneurs, TED Talks (or TEDx, the regional version of TED). TED Talks curates talks from thought leaders around the world. The channel focuses on current and educational talks, spanning a wide variety of topics. It’s great for any entrepreneur and gives insight into many different issues around the world. TED Talks’ counterpart, TEDx, feeds off of a similar idea but instead shows TED-style talks organized by different communities. Here’s a good example – a talk by Julian Treasure on learning to speak to people so that people want to listen. Entrepreneur focuses on big business ideas, trends, and advice targeted at entrepreneurs and small business owners. Much of the content on their channel is similar to the content seen in Entrepreneur Magazine, which features business news and expert interviews across different industries. Here’s a good example: lessons in business from Daymond John, Ice Cube, Nick Cannon and more. Gary Vaynerchuk’s channel features the advice from CEO and founder Gary Vaynerchuk of VaynerMedia (digital agency). Vaynerchuk offers years of experience in his videos, expanding on his advice featured in public speaking events and books. His channel is a favorite among not only entrepreneurs but also among business leaders. Here’s a good example – the one word that built Gary’s success. Content Marketing Institute (CMI) is a great resource for entrepreneurs looking to learn more about marketing. Through their videos, CMI focuses on the importance of storytelling and branding for businesses of all sizes and across all industries. With short videos around 3 minutes long, CMI makes it easy for entrepreneurs to pick up quick marketing tips. Here’s a good example – top 3 email marketing tips for 2017. Startup Grind is a startup community that connects and empowers entrepreneurs from all over the world. 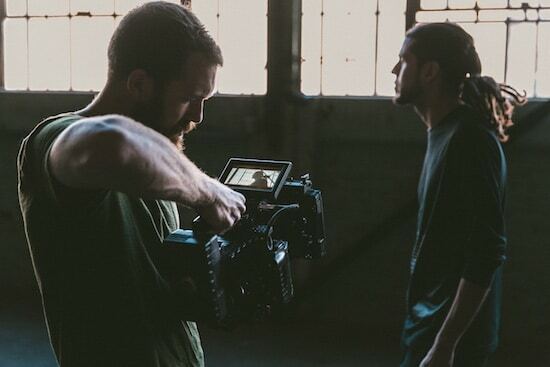 Their videos feature talks and interviews with successful entrepreneurs, investors, and thought leaders- keeping the content about as long as an episode of a TV show. Unlike other channels, Startup Grind is hyper-focused on startups and entrepreneurs. Here’s a good example – an interview with Patrick Collison of Stripe. Behind The Brand calls itself a “backstage pass” to the minds behind some of the biggest and most popular brands. For entrepreneurs, this inside look is especially important as it spans industries beyond tech. This channel often combines advice from many other great channels for entrepreneurs, like when it featured Gary Vaynerchuk in a video. Here’s a good example – morning routine life hacks. Marie Forleo is a well-known thought leader, speaker, and small business advocate. As a marketing, branding, and lifestyle expert, Marie Forleo offers both short and long videos filled with valuable advice for entrepreneurs. The most important characteristic of her channel is her focus on self-improvement and self-growth with her leadership and development advice. Here’s a good example – how to convince people to pay for your services. Founder of Convince & Convert (a strategy consulting firm) Jay Baer runs a YouTube channel featuring 5-minute talks on different business topics. His channel focuses heavily on thinking about the customer, teaching entrepreneurs to think more about their audiences and their needs. Here’s a good example – about the future of public relations. Backlinko with Brian Dean focuses mostly on marketing tips, with many specialized topics about SEO. For entrepreneurs, this channel gives tips and tricks that professional, experienced marketers use to get their companies ahead. It helps entrepreneurs learn how to find and target the traffic that they need to grow their companies. Here’s a good example – an advanced step-by-step SEO tutorial. Michael Hyatt serves as a “virtual mentor” to entrepreneurs and small business owners. His channel is a great collection of interviews and podcasts with other business leaders, entrepreneurs, and experts. He also features several authors. Here’s a good example – how to say No without feeling guilty. Another big ideas type of channel, FightMediocrity condenses big topics into short, easy to digest videos. With quick whiteboard sketches and even animated book summaries, the channel tackles business psychology, productivity, and even building good habits. Here’s a good example – everything that’s wrong with your behavior and why. Exclusively focused on startup news, This Week in Startups helps keep entrepreneurs up to date on different startup trends and developments. It also features tips from business experts and gives a quick glimpse into the crazy world of Silicon Valley. Here’s a good example – an interview with Jason Lemkin on SaaS startups. Brendon Burchard offers a lot of motivational, inspirational self-improvement advice. His videos are quick, informative listicles with actionable tips- the perfect combination for any busy entrepreneur. Here’s a good example – the science of motivation. The ultimate startup boot camp also has a YouTube channel! Filled with interviews and animated advice videos. Y Combinator’s channel offers insights into their teachings, which have definitely helped many startups. The channel also offers video recordings of some of their conferences. Here’s a great example – an interview with Elon Musk on how to build the future. You didn’t think we’d leave out our own channel, did you? The crowdspring channel focuses on marketing and business advice for entrepreneurs and small business owners. We feature CEO and founder Ross Kimbarovsky, and his years of expertise as both a lawyer and entrepreneur. Our videos are short, ranging from around 3-10 minutes, and always offer actionable advice for entrepreneurs and small business owners. Here’s a good example – the small business guide to creating a perfect logo design.